WA Police have concerns for the welfare of a 39 year old male crew member who has disappeared from the vessel he was working on near Useless Loop on WA’s north coast. 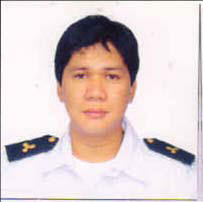 Winston CHAVEZ, who is a Filipino national, was last seen at around 1pm on Friday 8 May 2009 as the ship ‘MV Baltic Frontier’ was berthed at Useless Loop. The ship sailed at 9pm that night and the man was discovered missing the next morning at around 8am. leave the ship, or may be missing at sea. Police Divers have searched the wharf area and adjacent waters at Useless Loop, and an aerial search was conducted in surrounding waters over the weekend. A further aerial search of the coastline and local islands will be carried out today. A sea and air search in the Useless Loop area for a missing Filipino sailor has been suspended, but police are still hoping he may be sighted on land. The man, Winston Chavez, 39, was last seen about 1pm on Friday when the ship MV Baltic Frontier was berthed at Useless Loop. The ship sailed at 9pm that night and the man was discovered missing the next morning about 8 o’clock. Despite a comprehensive search of the ship, he has not been found. Police say he may have chosen to leave the ship, or be missing at sea. Police divers searched the wharf area and adjacent waters at Useless Loop, and aerial searches were conducted along the coastline and local islands over the past few days. Shark Bay police say they have alerted people taking part in the town’s week-long fishing fiesta to keep a look out for the man. Sergeant Dave Crisp said they had examined the man’s living quarters on the ship on Sunday when it returned to the area. He said there was no evidence of foul play.